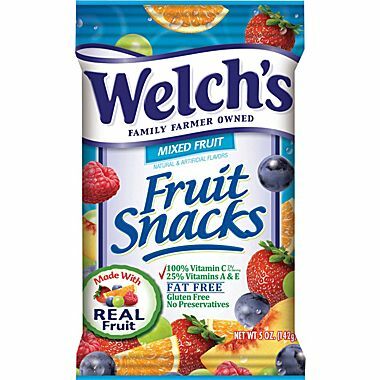 Over the past twenty years, the fruit snack has become a staple snack item in many households. And now, these colorful little balls of chewy goodness are often made with “real fruit” or even “100% fruit juice”, offering – in theory – a portable, non-perishable, super easy option for meeting the USDA recommended 2-3 servings of fruit a day. The reality is that fruit snacks, even those claiming to be 100% fruit, are nothing more than a marketing ploy that capitalizes on the almost universal belief that fruit is part of a healthy diet. There are two main issues with fruit snacks. First, the fruit snack, in all its fun and uniform shapes, resembles nothing like the fruit from which it may have been derived. It requires so much processing that the end product is far removed from what the fruit originally looked and tasted like. This can create more confusion among consumers about what “real food” is and where it comes from. The target market for fruit snacks, kids, are extremely vulnerable to this confusion as noted in several surveys. According to a recent study conducted by the British Nutrition Foundation, one-third of elementary aged children struggled to identify where fruits and vegetables came from. Not only does the appearance and taste change when turning a whole fruit into a fruit snack, but the nutritional value of the fruit does as well. Some fruit snacks contain added sugars, artificial flavors and coloring, and preservatives. Even if made from only fruit, some nutrients, such as fiber, are lost during processing. Fiber plays a critical role in creating a feeling of fullness and without it, it is hard to feel satisfied by that serving of fruit snacks. Experts tend to agree on one point regarding nutrition – the most important recommendation is to eat real as close as possible to its natural state and that processing itself appears to be causing more health issues than anything else. Call it what it is – fruit snacks are a dessert. Spinning a fruit snack as a serving of fruit is the equivalent of a used car salesman trying to sell you on the idea that a used car will function just like a brand new car – even though it’s been drive cross country, and back, ten times, by a teenager, with three snack-eating toddlers in the back seat. Ever wonder what a registered dietitian ACTUALLY eats? Check out the "What's Amy Eating" category to see what she is serving for dinner tonight. Which would Amy buy at the grocery store?